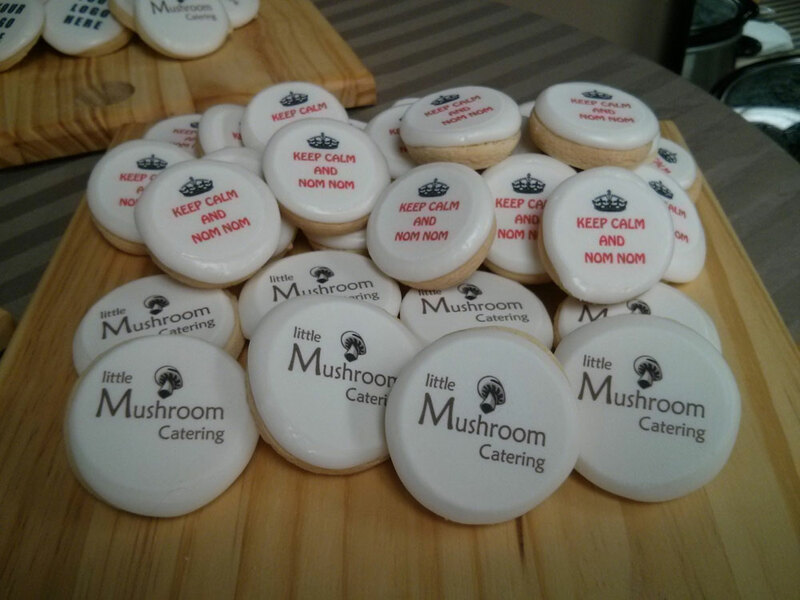 Acquired in January 2014, we at Little Mushroom Catering continue to create the yummiest branded cookies in Southwestern Ontario. Our good friend PJ began this company in 2011, fulfilling a need for an alternative to pens and other standard giveaways at trade shows and corporate functions. She ventured into making scrumptious sugar cookies with vanilla icing topped with company logos and individually packaged for convenient distribution. We’ve brought Nom Nom Treats into the private sector as delicious favors for your wedding guests, treats for bridal & baby showers, and specially branded birthday and anniversary cookies! How Fresh are Nom Nom Treat cookies? Each Nom Nom Treats cookie is made in-house and contains no preservatives, therefore it has a best before date of a week from delivery. Our cookies should be stored in a dry area and at room temperature. Please note that long periods of direct sunlight can affect the colouring of the custom logos, therefore, we recommend you store the cookies in a shaded area. Each Nom Nom cookie comes individually wrapped in a cellophane bag. 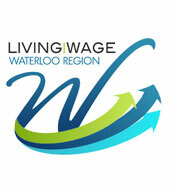 You may pick up your orders at 290 Thompson Drive, Unit 5, Cambridge, ON. We also provide delivery and can drop off your orders for a small delivery charge.